We are an established driving school in Doncaster, South Yorkshire also offering services around the Rotherham, Barnsley, Wakefield, Pontefract and Huddersfield areas. 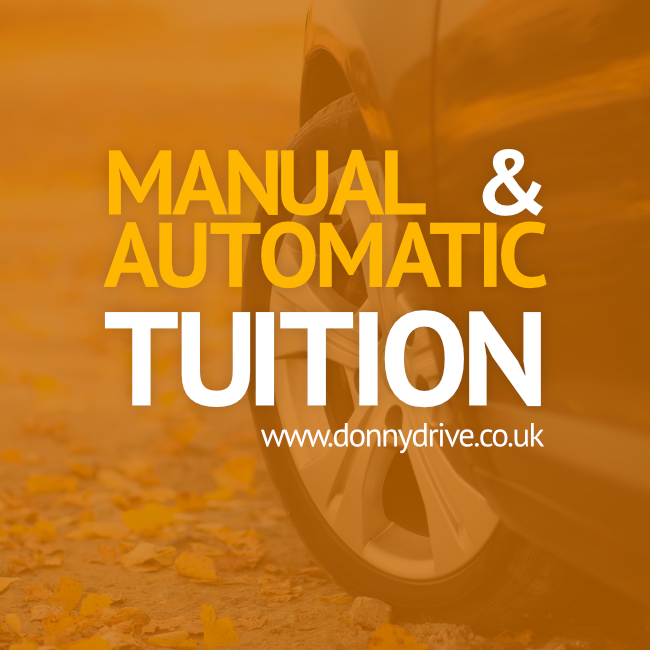 Skilled approved instructors are able to offer you manual car or automatic car driving lessons. Learn how to drive a car using good techniques and routines. Your instructor will get you geared up and ready to achieve your goals with affordable educational tuition. So, come and pass the driving test with us the right way. Daytime, evening & weekend lessons. Access to Theory Test Pro online. Value block booking discounts & introductory offers. If you are a driver who has already passed the test but looking to improve in some way of another, we offer lessons to help. Take Pass Plus, refresher or a motorway driving course for becoming better at the wheel of a car. how many driving lessons does a learner need? This is different from person to person. Every learner develops the required skills at a different rate. On average, a novice beginner should expect to take around (45 hours) of professional instruction.